Travel wheelchairs are lightweight mobility chairs perfectly designed for convenient short-distance usage. With the assistance of a caregiver, these chairs help keep people mobile. Continue reading to learn about the many benefits of owning a travel wheelchair. 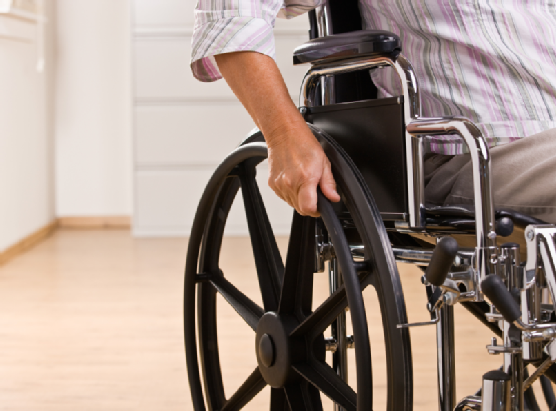 Weight: Manual wheelchairs typically weigh in the range of thirty-five to forty pounds. Travel wheelchairs, on the other hand, typically weigh between fifteen and twenty pounds. The Fly-Weight Travel Chair comes in at a mere nineteen pounds while the Fly-Lite Travel Chair comes in at an astonishing fourteen and a half pounds. For anyone seeking a lightweight and highly portable option for traveling relatively short distances, a travel wheelchair is a superlative choice. Storage: Traditional manual wheelchairs and electric wheelchairs are not only much heavier, but they’re also infinitely more difficult to store. If you’re planning on traveling somewhere in a car, it’s extremely difficult to fit traditional manual wheelchairs and electric wheelchairs into the trunk of smaller cars. On the other hand, travel wheelchairs are small enough that they will fit easily into the trunk of the most compact cars. Cost: Regardless of whether you elect to rent or buy a travel wheelchair, you will come out ahead financially compared to how you would fare renting or buying a traditional manual or electric wheelchair. While the features included in any given travel wheelchair may vary, they will still cost less than another type of wheelchair with similar features. Not only will you be helping your caregiver by giving them a lighter chair to push, but you’ll also be helping your wallet in the process. If you’re searching for a lightweight, storage-friendly, cost-efficient short-distance mobility chair, look no further than a travel wheelchair. At Williams Lift Company, you can find the perfect travel wheelchair to rent or purchase. To obtain more information about our top-notch wheelchair selection, give us a call today at 908-322-7070 or visit us on the Web.